The narco government included a wide variety of characters. 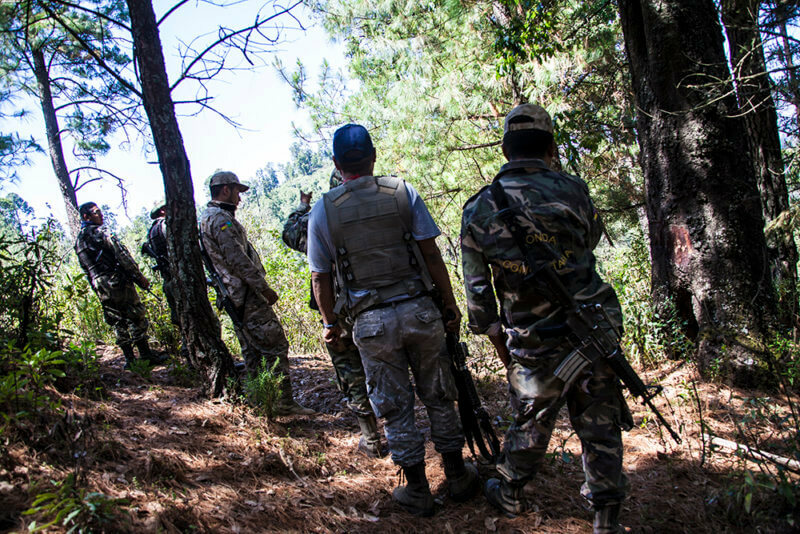 Cartel thugs or “sicarios” working alongside illegal loggers who conspired to ravish Cherán’s forests and anyone who got in their way. Cherán lost over 50 community members between 2007 and 2011. Many of those simply disappeared, never to be seen again. When Cherán rose up, over 300 campfire barricades were erected at intersections throughout the community. An additional five checkpoints were established at entry roadways to the community. As the police fled Cherán, they also left their weapons, uniforms, and vehicles at the police barracks. The community recovered all of these elements to establish their “ronda comunitaria” or community guard. Nobody will say it on record to this day, but everyone knows that all cell phone service, all television service, and all radio service was shut off immediately after the uprising. Cherán was disconnected from the rest of the world. It was during this time that one of the most absolutely astonishing elements of the uprising came to function on a nightly basis: the “fogatas” or campfire barricades. Again, 300 of these barricades were erected throughout the community for security purposes, but they also became core meeting points and the basis for the collective decision making process that Cherán established at that time and continues to practice today. Each fogata belongs to one of four neighborhoods in Cherán: 1st barrio or Karhákua, 2nd barrio or Jarhukutini, 3rd barrio or Ketsikua and 4th barrio or Paríkutini, also jokingly known as Paris. The fogatas met every night during the uprising. Each fogata would send proposals and a representative to neighborhood assemblies and then to community assemblies. The fogata element of the communal government in Cherán was the only new element. 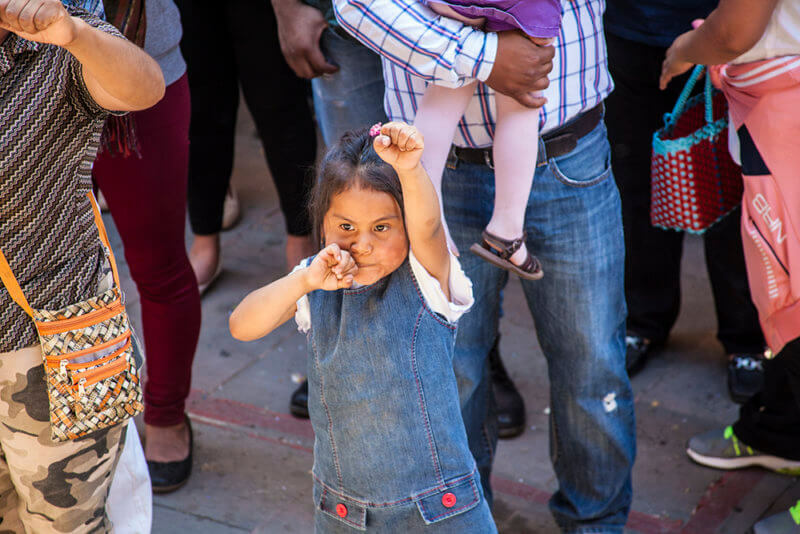 The neighborhood assemblies and the larger general assembly are part of the traditional forms of self-governance that Cherán practiced 40 years earlier, before political parties and institutional forms of government came to the community. 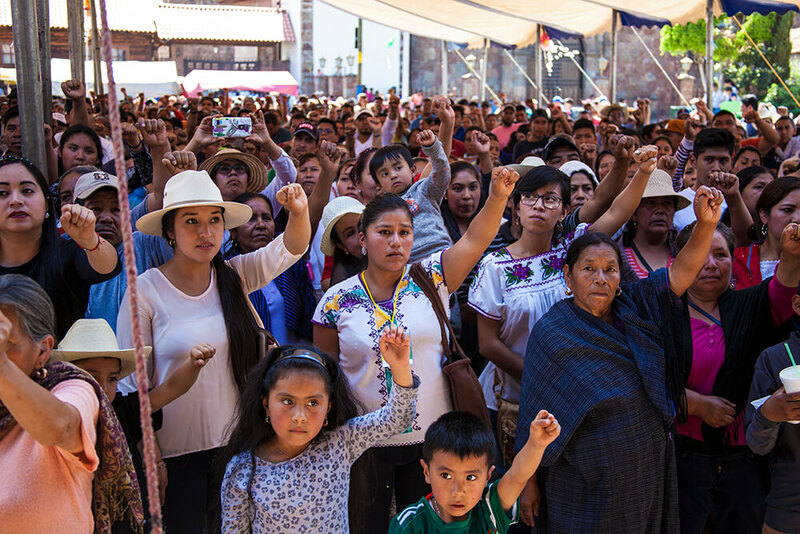 In the general assemblies, the community of Cherán came to a consensus about returning to their traditional form of self-governance, which also included the establishment of governing councils. This short film documents the naming of Cherán’s third Council of Elders, a process that takes place every three years. This naming marks the seventh year of self-governance in the community.